front of carrer Magalhäes (Magallanes), there is no trace. who had taken refuge in the fields. 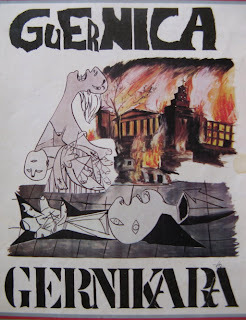 The whole of Guernica was soon in flames. The Nationalist Army is in control of Guernica. with Aguirre´s separatists, have left in ruins. dated from during the war. fascists. 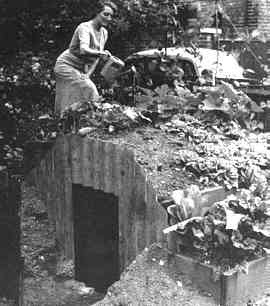 Underground tunnels have subversive possibilities. I have great taste in Barrios. Josep Canós, my student, lent me the book. "Montjuïc, la Muntanya de la Ciutat." by Estanislau Roca i Blanch. With the map of my air raid shelter. 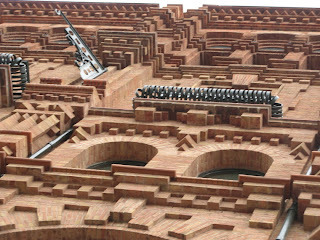 The Catalans do beautiful things with bricks. Catalunya, one of the Catalan electricity companies. the reality of war should be in such a state of abject abandon. sure where I could find any. documentation is held in municipal archives. to come and look at the shelter. disappeared (rapidly) and reappeared (irrevocably) as a new car park. for the chosen, and not for sale to the public. I wait while he gets the book. here. One from your street." plan of the shelter I have found. He promises to lend me the book. He also suggests I contact a journalist called Lluis Permanyer at La Vanguardia. Mariana had been worried about rats. I about getting buried alive. What we weren't prepared for were the tons of rubble blocking the end of the tunnel. walled up at the point where the tunnel came to an abrupt end. You will perhaps understand why I was impressed.